The Haftorah is read from the book of Yeshayahu (Isaiah), 57:14-58:14. The connection of the Haftorah to Yom Kippur: We read this Haftorah, since it deals directly with the proper way of performing Teshuva, repentance. The prophet harshly criticizes people who merely go through the motions, and have no spiritual connection to the fast. He also speaks of the rewards for those who fast with Kavanah, concentration. The storyline of this week’s Haftorah: Hashem will forgive the penitent. Those who trust in Hashem will pave their own way back to Hashem. No longer will we suffer from unwanted thoughts, speech, or deeds. We should pave the way with verbal confession, remorse and righteous acts. We should pray that we should have the stumbling blocks - which prevent us from being spiritually saved - removed. Hashem, the High and exalted one, who lives eternally, Holy is his name. "In the heavens do I dwell in holiness, yet I am connected to each person who is lowly and humble. I, Hashem, am not going to fight forever with the physical man who does not keep my laws. A spirit will enwrap each person’s body and guide it. We will realize that the soul, a direct creation of Hashem, transcends the limitations of the body. People have sinned and I punished them in a subtle way. As a result of this, people say "it was a coincidence", not Hashem. Hashem sees the sins that we commit; however, he will heal, guide and console the mourners. 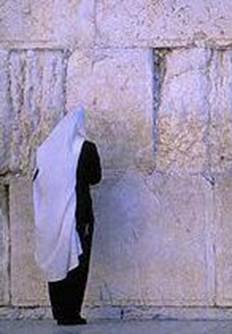 Hashem will inspire the hearts of the Jewish people to confess their sins. Then there will be nothing separating us from Hashem. We all will then experience inner peace. The wicked are like the stormy sea, which cannot rest. They will not experience this peace. Their souls will not rest in this world. There will be no peace for the wicked. Yeshayahu asks the people to call out, like a ram’s horn and tell the Jewish people to be aware of their sinning. The Jewish people claim that they are seeking Hashem, but they are not sincere. They claim that they want to understand the secret of Hashem’s ways and how he runs the world. They say that they want to understand why the righteous are put through such suffering, but they don’t mean it - they are not sincere. You claim to be pious people fasting, however you use it as an excuse to act harshly and angrily to others while you are fasting. This is the fast day I, Hashem, gave you to be free of evil entirely, not just sin. Hashem would rather we share our bread with others that are less fortunate than us rather than for us to have a lot of food for ourselves. If you do all these things then your souls will prosper. You answered the cries for help of the poor ones, so will Hashem answer your calls. You must not point your finger at someone else with blame, criticism or judgment. What really pleases Hashem is when we share what we were given by Hashem with others less fortunate than ourselves. We can always say a kind word, and give a smile so that another person can feel better. If you do all of this, Hashem will always be with you, protecting you from everything. Just like evil doers destroy the world, those who do good rebuild it. If you keep the Shabbat and refrain from working on Hashem’s holy day, and if you enjoy Shabbat in order to honor Hashem, Hashem will grace you with an abundance of blessings. Then we will acknowledge that Hashem is the source of all blessings. Was killed by Menashe, the King of Judah. Yeshayahu was hiding from Menashe, the King of Judah, in a tree, but as Menashe was passing by the tree, he spotted Yeshayahu’s tzitzit hanging out of the tree. Menashe then cut clean through the tree, killing Yeshayahu. Yeshayahu was killed cut through his mouth as a midah kineged midah, measure for measure, for speaking lashon ha’ra about the nation of Israel. Famous Phrases: Isaiah, 58:13. “Im tashiv me’Shabbat raglechah asot chafatzechah beyom kadshi, v’karat la’Shabbat oneg l’kdosh Hashem mechubad. Vchiybadito ma-asot derachecha mimtzoh cheftzecha v-daber davar. Az titanag al Hashem vehirkavtechah al bamtai aretz v’ha’alticha nachalat Yaakov aviycha ki pi Hashem diber” If you restrain your foot, because it is the Sabbath; refrain from accomplishing your own needs on my holy day. 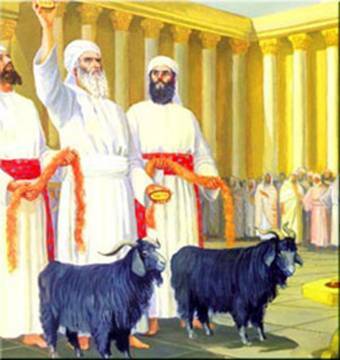 If you proclaim the Sabbath ‘a delight’ and the holy day of Hashem honored and you honor it by not engaging in your own affairs from seeking your own needs or discussing the forbidden – hence you will delight in Hashem, and I will provide you the heritage of your forefather Jacob, for the mouth of Hashem has spoken.” Said during the daytime Kiddush for the Sephardim on Shabbat, speaking of Shabbat and its reward. This is also the last few pesukim in Yom Kippur’s Haftorah. Haftorahman’s lesson of the week: We should all take the words of the prophet Yeshayahu to heart, and think about the prayers we are saying. We should take extra effort to make sure we are praying wholeheartedly, and concentrating on our actions instead of simply fasting because it is Yom Kippur. Timeline: The prophet Isaiah lived about 2500 years ago. Timeline: Ephraim Waxman Dor L’Dor Feldheim Publishing.